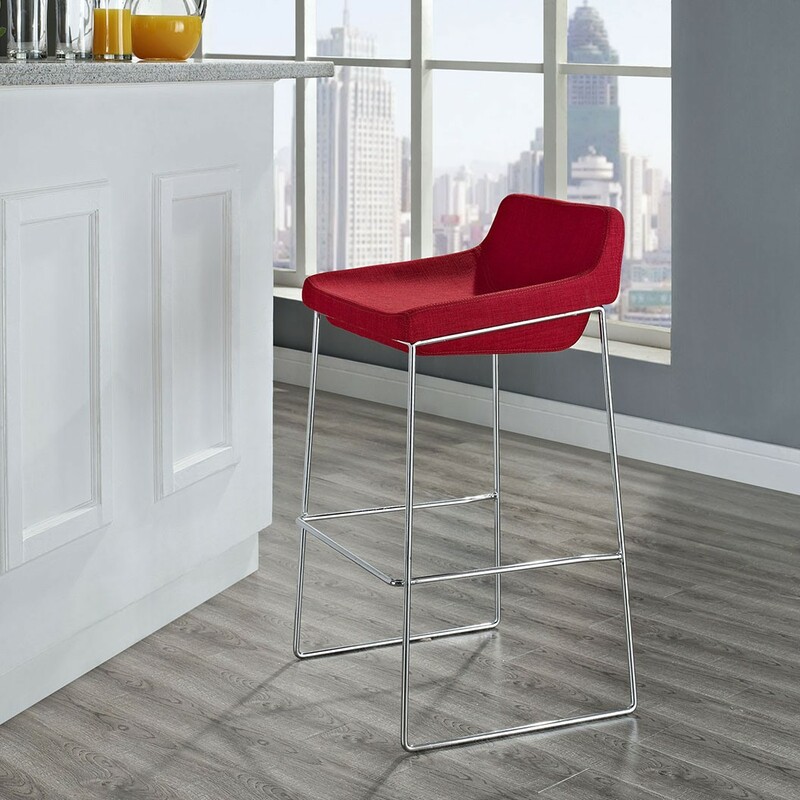 Benefit from the comfort of a lounge chair in Garner red bar stool made to please. Garner features a chrome plated aluminum frame and generously padded foam seat with upholstered fabric to keep you coming back for more. 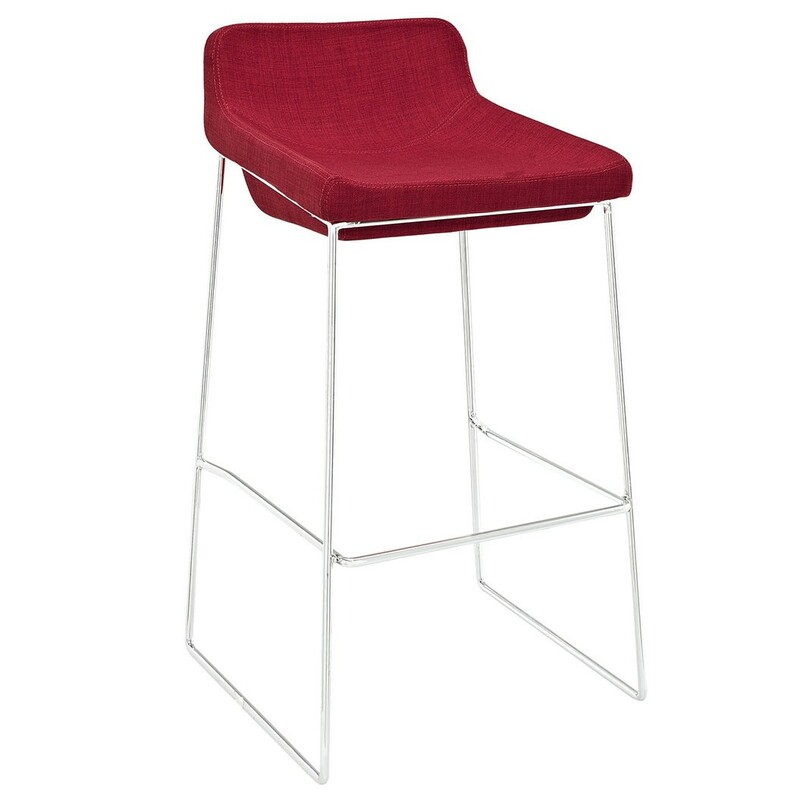 The deep-seated design and supportive backrest make this a modern piece that both looks and feels great. Garner also comes with a well-positioned footrest to help prevent slouching.